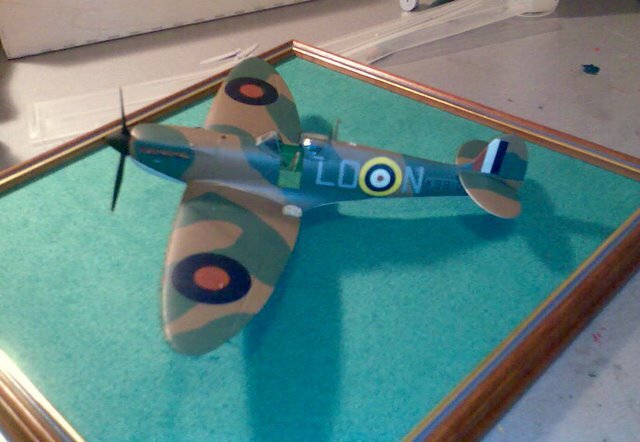 I have recently completed a 1/48 scale Spitfire Mk I of 602 squadron as flown by Flt/Lt Paul Clifford Webb. 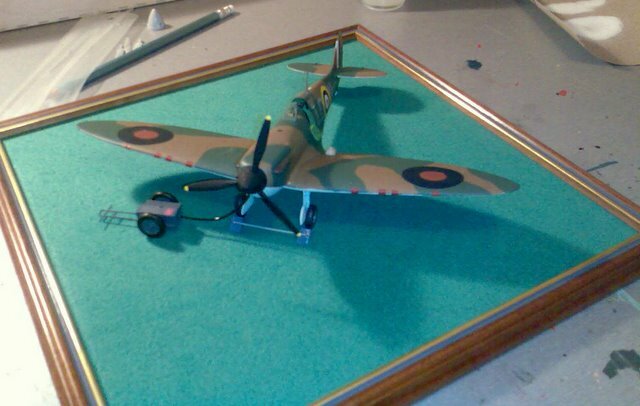 The model depicts his aircraft as it was on 16th October 1939 when he was involved in the destruction of a Junkers Ju 88 over the Firth of Forth, the first enemy aircraft shot down over Great Britain in World War 2. Paul Webb reached the rank of Air Commodore in the post-war RAF. He died in August 2007 and the model was made in response to a request from a group of his friends who wanted a permanent memento dedicated to his memory. The memento takes the form of an annual trophy named “The Readiness Award” and is presented to the winner of a shooting club called the “Rat Pack” of which Mr Webb was member. 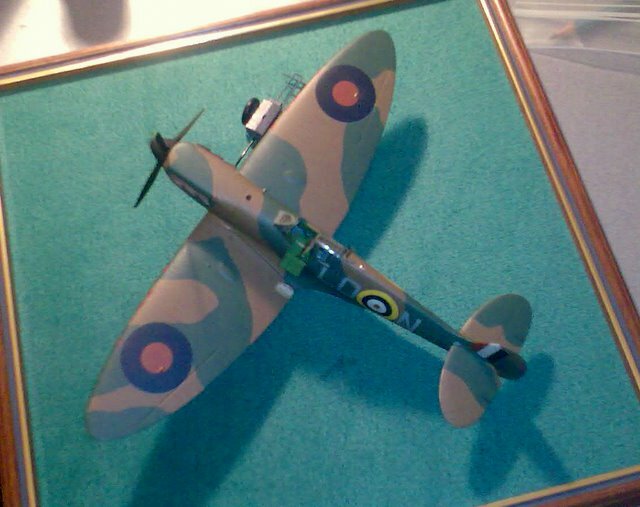 I have made model aircraft for over fifty years but the research and care I took with this project far outweighs any of my previous efforts. It is also my own small tribute to Paul Webb and others of his like who demonstrated a “Readiness” to come to their country’s aid in its hour of need. Far greater men than me have extolled the deeds of these men and in a world where “honour” and “duty” are being forgotten remembrance of all those who answered the call is no bad thing. The model is no longer in my possession but I was able to get these pictures, taken with a cell phone, from the recipient.